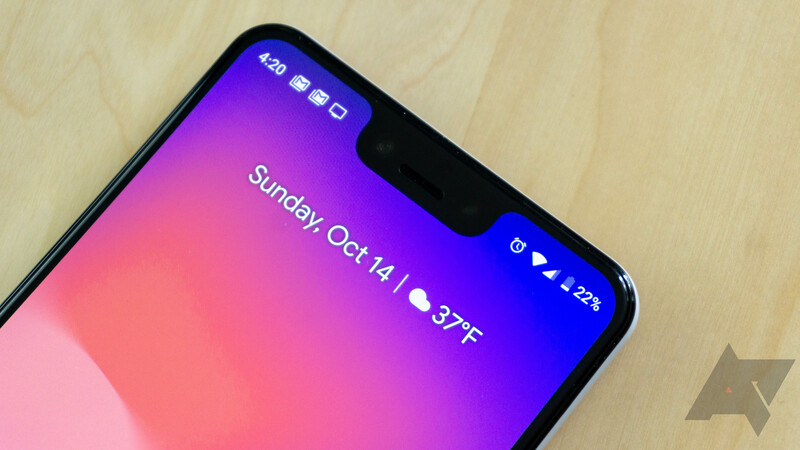 Anyone who kept an eye on the price of the original Google Pixels will have noticed that they were seldom discounted, especially in the UK, which was a real pain for anyone waiting for the price to drop before picking one up. Only once the 2nd generation models were released did the originals finally come down substantially. We expect the Pixel 2s to follow a similar pattern, but the holidays can throw up the occasional surprise. Google's Pixel and Pixel XL phones are sold in three colors - Very Silver, Quite Black, and Really Blue. While the last color is certainly the most eye-catching, it's only been available in the United States. 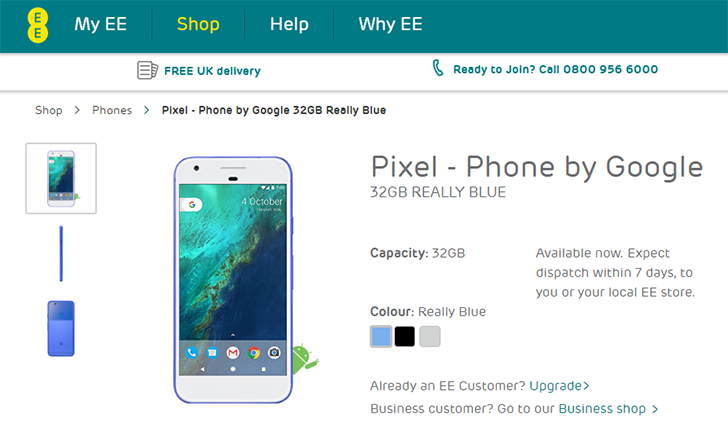 Google originally stated that the model would only be a temporary US exclusive, and now we are seeing it arrive in other countries - first in Canada with Rogers, and now the UK with EE. As expected, both the 5-inch Pixel and the 5.5-inch Pixel XL are compatible out of the box with Project Fi, Google's MVNO (it would be news if they weren't). 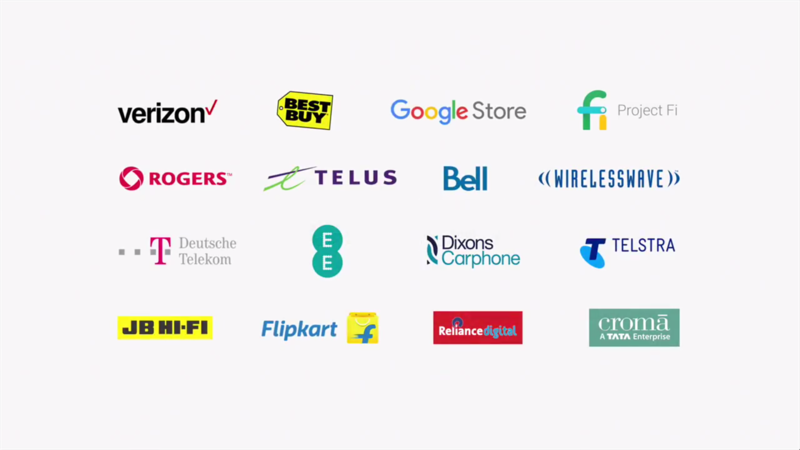 Google also announced just over a dozen of other international partners around the world. 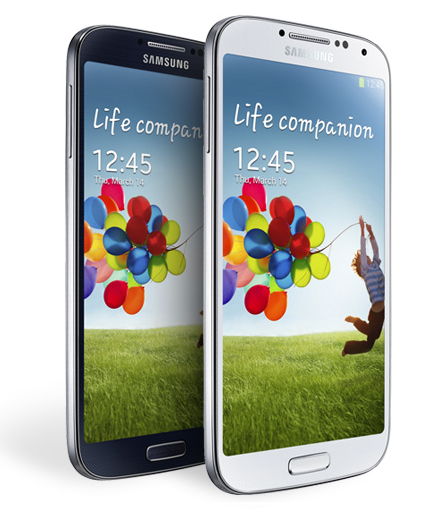 Continuing its rollout across the UK, Everything Everywhere has expanded its 4G service to nine more towns and cities. As a result, superfast mobile broadband is now available to 45% of the UK. As Everything Everwhere's monopoly over 4G in the UK will soon be coming to an end, following successful bids for spectrum by all of the major mobile carriers in the country, the network is continuing to aggressively rollout its service to as many people as possible, promising 4G in 72 towns and cities by summer 2013. Say what you will about the sorry state of broadband in the US, we were one of the first to have large-scale LTE networks available to the public. It took about a year for mainland Europe to catch up, and the UK is still in the very early stages of getting their high-speed networks started. Everything Everywhere (EE) has taken the lead on the tablet front, offering the very first LTE tablet to United Kingdom wireless users: Samsung's Galaxy Note 10.1. Plans start at £25.99 per month for 3GB of high-speed data. On the cheapest plan, the Note 10.1 LTE will cost £249.99. EE is continuing its fast-paced rollout of 4G in the UK, promising to bring the service to 17 new towns and cities across the region by March next year. 14 locations in the UK, including London, Manchester, and Glasgow, have been enjoying the fast speeds provided by the network since its rollout earlier this year, and they will soon be joined by the likes of Coventry, Leicester, and Reading as the network's expansion continues. EE has set itself the ambitious target of 98% coverage across the UK by the end of 2014, so if you can't see your town or city on the list just yet, don't worry too much. Six months ahead of all competitors, EE - a joint-venture between Orange and T-Mobile - is launching the UK's first LTE network today. The initial launch rollout will cover 11 major cities: Birmingham, Bristol, Cardiff, Edinburgh, Glasgow, Leeds, Liverpool, London, Manchester, Sheffield, and Southampton. 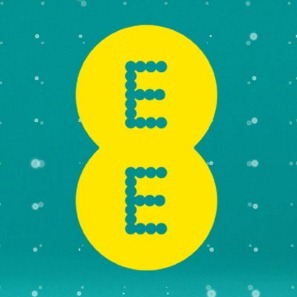 EE is promising at least 2,000 square miles of coverage expansion every month (which is probably a better coverage metric for the UK), with 5 more cities to be covered by year's end. EE has a decided advantage over its competitors due to a spectrum crunch even worse than the one currently going on in the US, with T-Mobile and Orange using spectrum refarming to work around the lack of new airwaves.